The Philippine Police has arrested a firearms smuggler in Bacolod who claimed that a patron has ordered guns that will be used to assassinate President Duterte. 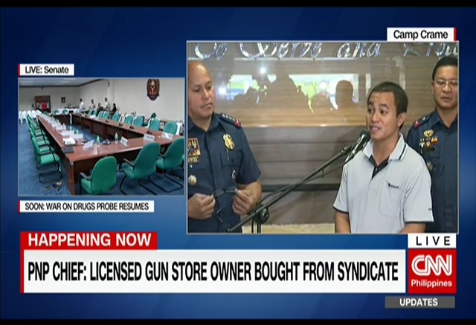 Speaking to the media, suspect Wilford Palma revealed that they sold more than 100 upper receivers, 40 barrels and 30 bolt assemblies to the patron. He said these are less costly and could be used for M-16 rifles. "My boss said his number one customer has ordered lower end gun parts to be used for the assassination of President Duterte," said Palma in a press conference at Camp Crame, Thursday. Palma, together with his boss Brian Taala were arrested by the Philippine authorities last month for allegedly smuggling firearms from the U.S. valued at P4.5 million pesos. They are being prosecuted for violations of the country's Republic Act 10591 or the "Comprehensive Firearms and Ammunition Regulation Act." The rumors of this plot first circulated even before Duterte assumed the Presidency. Palma said Taala divulged the plans to him when he was about to pick up the smuggled items at the back of a mall. It can be recalled that drug cartels operating in the country were said to be plotting to kill PNP Chief Ronald 'Bato' Dela Rosa and President Duterte due to its hard campaign against illegal drugs. These groups were even offerring bounties for their assasination. The arrest of Palma and Taala came after an intelligence report from the U.S. Homeland Security was relayed to the Philippine authorities. Palma is now under the PNP's custody. 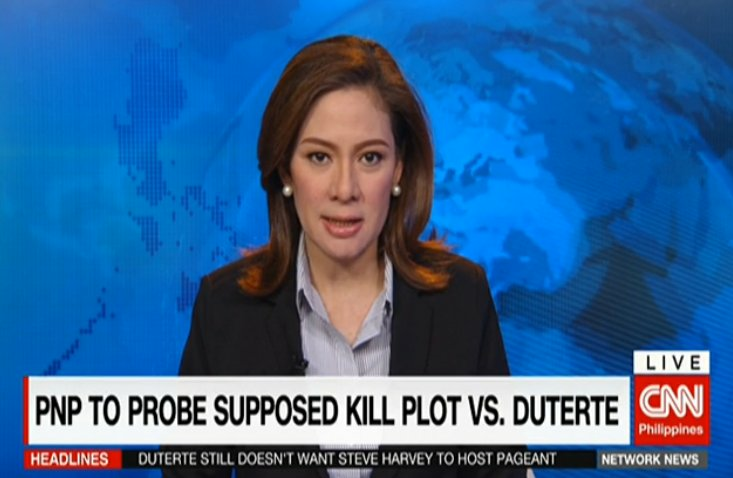 WATCH the entire 'Duterte Assassination Plot' video below.